All my clients are unique – so the service I will deliver to you will be tailored to your needs. 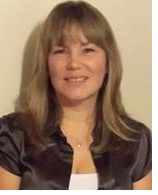 Paula is sole proprietor of PJ’s Bookkeeping & Accountancy Services with over 15 years’ experience. Before qualifying Paula had a varied career in retail, catering, finance, and management. “Mae Paula yn berchen cwmni PJ’s Bookkeeping. I will meet you for a free initial consultation, listen to your needs and explain how I can help you. Please call on 07974 260601 or email info@pjsbookkeeping.co.uk for more information. As every business is different when it comes to specific requirements and budget for bookkeeping and maintaining accounts. For this reason, my bookkeeping fees are negotiable and can be charged on a Fixed Price for Payroll, Vat / Tax Returns and an hourly rate for bookkeeping.